Dame Everage must be pleased as punch that her beloved blooms are making a comeback. I once abhorred these flowers, but I’m slowing coming around. Today’s hybrids have gorgeous colours – rich purples, deep reds, lavenders, lime greens, rosy colours and the prettiest pastel pinks. There are bi-coloured blooms too – flowers with blotches, stripes or picotee edges – and a choice of ruffled, waved or frilled petals in large-flowering or petite forms. 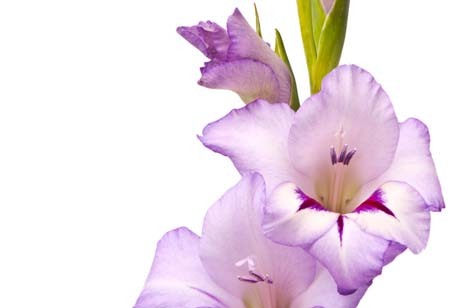 Gladioli are excellent cut flowers and will bloom over several months if you stagger the planting. But the quality of flowers depends on the quality of the corms. Plump, high-neck corms with small root scars (at the base of the corm) produce far superior blooms than flat, wide corms with large root scars. So choose your corms by depth rather than width. You can still get gladiolus corms from garden centres and specialist nurseries, so don’t panic if you haven’t planted yours yet. Gladioli can, in fact, be planted right up until December. For future reference, planting can begin from mid to late August (July if planting in a greenhouse), but a cooler soil does slow down growth. 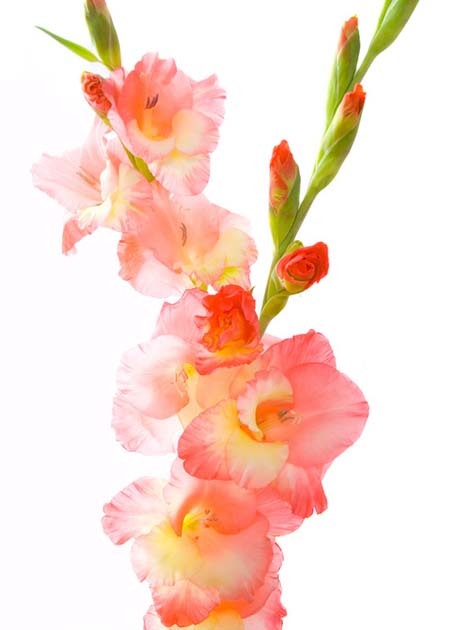 As an example, if planted in August, gladioli take 120-150 days to bloom; in summer they take only 80-90 days. Plant your corms in succession for a longer season, because once you pick the blooms, that’s it. They won’t reflower. Position in full sun in well-drained soil, 15cm deep and spaced 15cm apart. 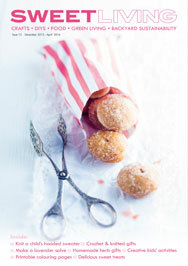 Check out specialist bulb companies like www.nzbulbs.co.nz, who provide a range of gladioli to choose from. Where gladioli once came in boring pinks and washed-out yellows and reds, today’s hybrids sport rich purples, deep reds, vivid orange, lavender and rose, among other sumptuous hues. Balloon flowers (Platycodon grandiflorus) aren’t usually grown for picking, but they do make good cut flowers. In fact, they’re commonly grown in the States for that purpose. Sow seeds directly where you want them to grow or transplant seedlings very carefully as they dislike root disturbance. If you want to grow yours for picking, choose the tall-stemmed varieties such as ‘Florist Mixed’ from Kings Seeds, which grow up to 80cm high. The seedlings sold at garden centres are usually short-stemmed varieties. If you like your flowers bright and cheerful, you can’t go wrong with zinnias. They’re easy to grow from seed, or you can buy a range of colourful seedlings from your garden centre. For the more unusual varieties (bi-coloured, tri-coloured or lime green), buy from specialist seed merchants like Kings Seeds and Egmont Seeds. Kings Seeds has a new zinnia on offer this year, ‘Giant Wine’, which has fully double dark burgundy flowers that are a whopping 12cm wide. It also grows to a height of 1m. Perfect for picking.